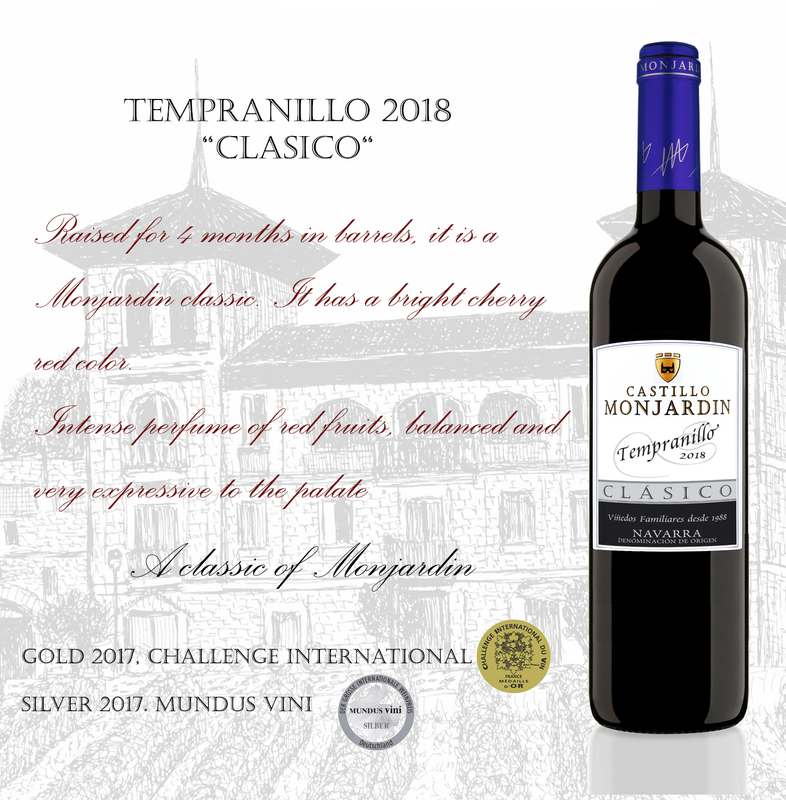 Description: Tempranillo slowly fermented with a brief skin maceration and aged for 4 months in oak barriques, makes it Monjardin Clasico. It is bright, complex, well-knit and elegant, with a distinct display of terroir. It has lively flavors and firm structure; it is very expressive with aromas of red fruits.